With an aim to make Nirona a model village, facilities like underground drainage, CCTV cameras for security purpose and cement-concrete roads will be developed in the first phase. 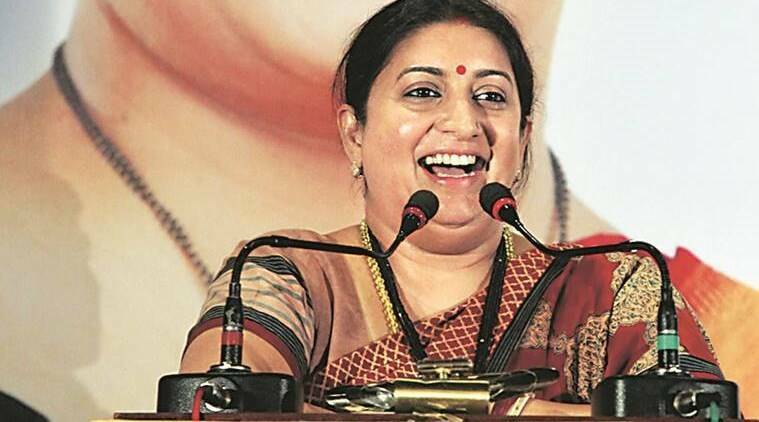 Union Textile Minister Smriti Irani on Friday laid foundation stone of projects worth Rs 1.08 crore in Nirona village after adopting it under Saansad Adarsh Gram Yojana (SAGY) in Kutch on Friday. Located in Nakhtrana taluka of Kutch, Nirona village is known for Rogan art, an art of cloth painting. With an aim to make Nirona a model village, facilities like underground drainage, CCTV cameras for security purpose and cement-concrete roads will be developed in the first phase. In the second phase, smart classrooms will be developed in the school as well as free wi-fi facility will be provided, an official release from the state information department stated. Similar facilities will be developed in Kuran, a village in Bhuj taluka of Kutch which was adopted b Kutch MP Vinod Chavda. Early in the morning, Irani also unveiled a statue of Madansinh Bawa, the ruler of the erstwhile state of Kutch, at Khengar Baug on the bank of Hamirsar Lake in Bhuj town.